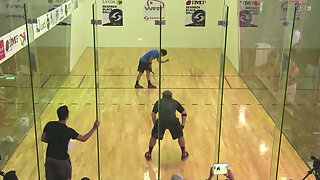 Description: Two heavy hitters square off in the finals of the World Racquetball Tour Grand Slam in Juarez. 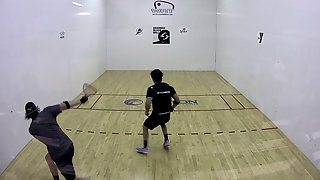 It's the big 6'2" Jake Bredenbeck vs. the diminutive 5'7" Alejandro Landa. Both players pack big power however. 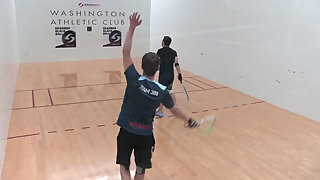 It's a slug fest on the court with non stop action and bodies flying across the court.